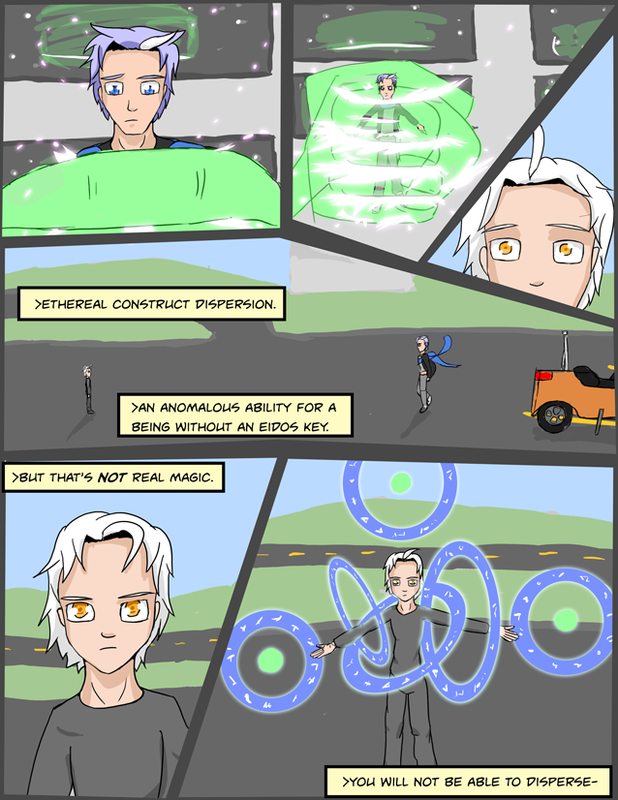 The term “that’s not real magic” amuses me greatly. No update (unless I edit this commentary) on the whole artist-having-surgery-thing as I haven’t had it as of when I’m writing this (though I will have by the time its posted). It’s like time travel. Mini-Update: I’m alive but not yet in computer using condition. Mondays comic may be late but any missed updates will be made up. Sorry for absence; and thank you all for reading. Update 2: Mondays comic will be late (hopefully tomorrow?). Still not able to use computers, but getting closer. Thank you for the comment and the patience! Just want to keep the people that come back to be appraised of the situation so they can know when to expect updates again (soon! hopefully) – don’t want people to keep checking back to the same page! Plus it just makes me sad to miss updates, but I do appreciate the sentiment and am doing what I can to not injure anything further and recover. I’m still a mess, but back to computer at least. Update in progress and will be a little rough again likely. That said things should only get better from now on no more surgery. May not finish till tomorrow; was on track to have this update buffered but the last few days before surgery I didn’t much done but worrying :p so here we are. Should be soon-ish though. I’ll see your “Ethereal Construct Dispersion” and raise you…..
And you were right. Having the symbols more clearly rendered makes a marked difference in the overall look of the page.